娜姊 and I have been talking about meeting up to drink a few bottles together, and finally managed to pin down a date when we're all available. 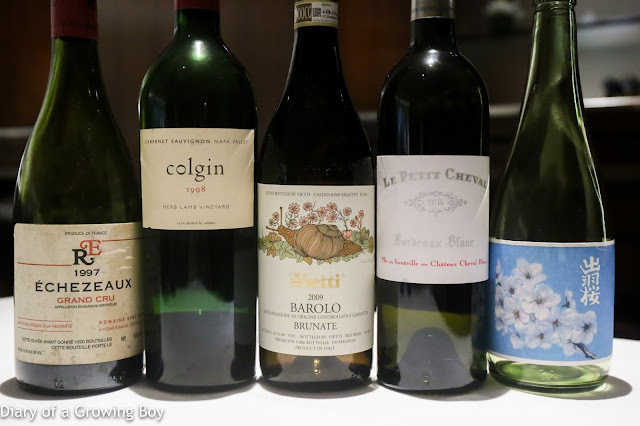 She invited a sommelier friend along, and the five us would no doubt consume at least five bottles of wine. So... with some of the top restaurants in town placing limits on the number of bottles we could bring, where do we go? Fortunately, the Mandarin Grill + Bar still welcomes us with open arms. They've gotten themselves a new chef, a new menu, and a new restaurant manager... but sommelier Ken remains a familiar face. 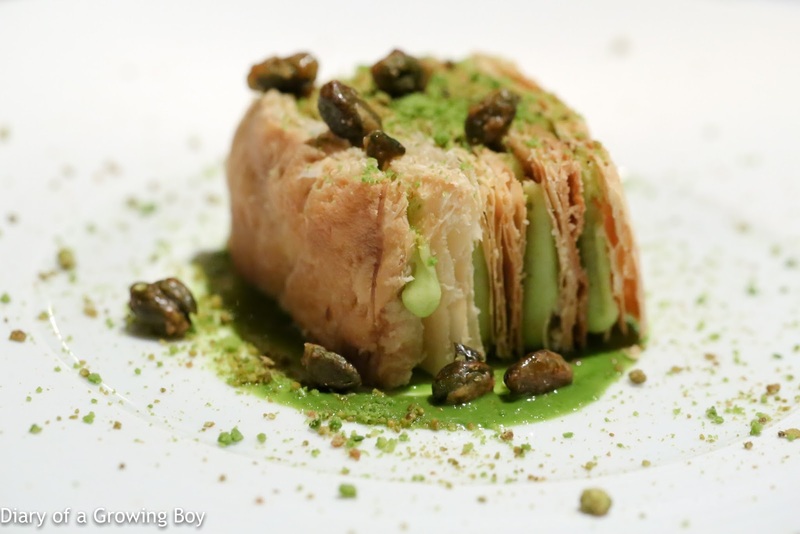 I haven't dined in the Mandarin Oriental Hong Kong since Uwe's last service, so I was curious to see how things have changed since then - and the change was significant. They've gone back to classic dishes. Shrimp tartare cornet - pretty delish. 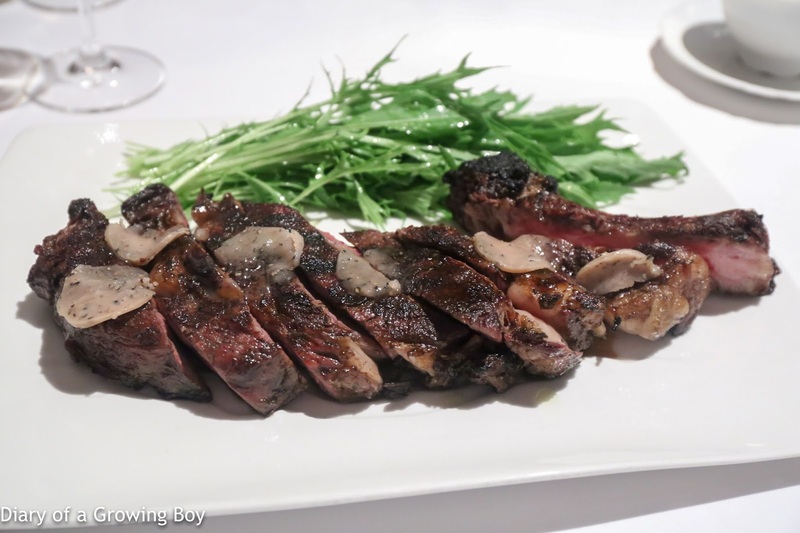 Grilled double ribeye - this was shared between two others at the table, but I got myself a "tiny sliver". Very, very nicely done at medium-rare. 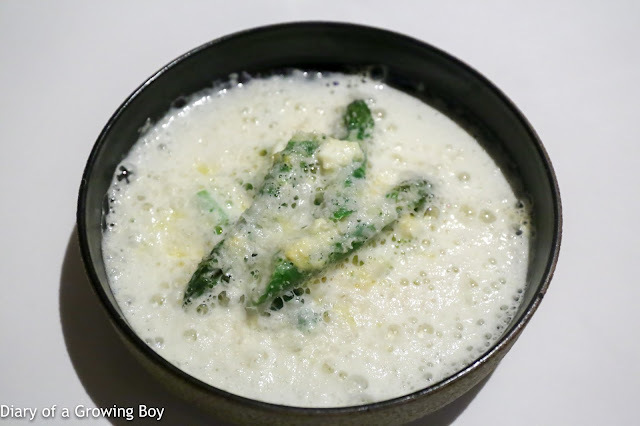 Served with mizuna (水菜) on the side. French fries - these came with the ribeye and were pretty good. 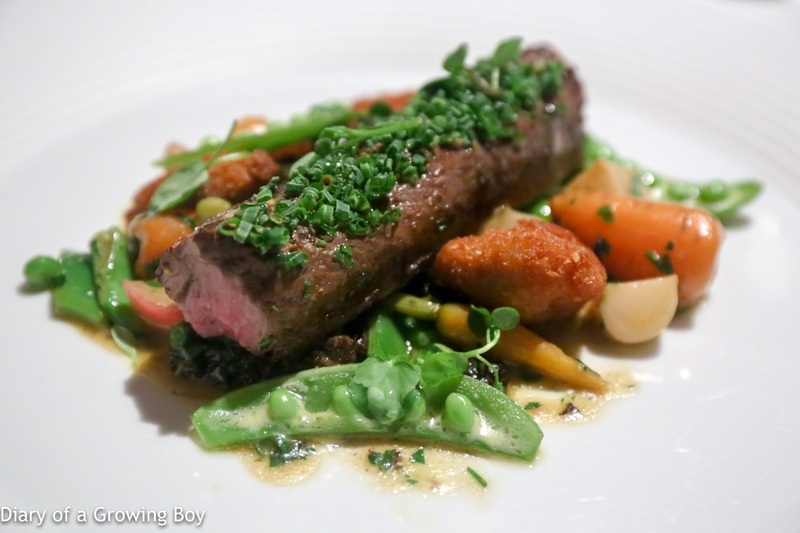 Cannon of Welsh lamb, morels, sweetbreads - this was very, very good. The cannon is a very tender cut of meat, but as it comes without fat, it is a lot less lamby and gamey. Definitely tasted a little garlicky. The deep-fried sweetbreads were very crispy and tasty, but the spring vegetables definitely made the dish. Crunchy sugar snap peas, carrots, radishes, and morels. So happy eating this. 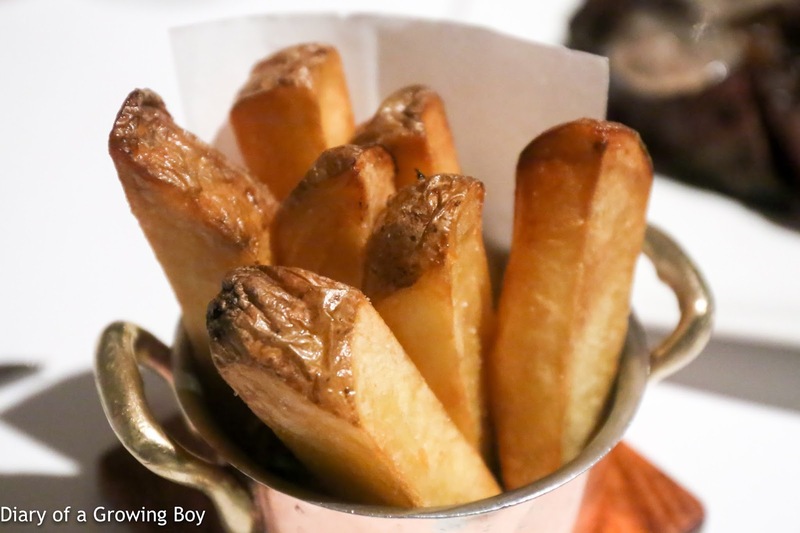 Triple cooked potato 'chips' - I never liked fat chips because the ratio of crunchy exterior to the soft interior is all wrong, and I gotta say that I didn't like these, either. Neither did anyone at the table. 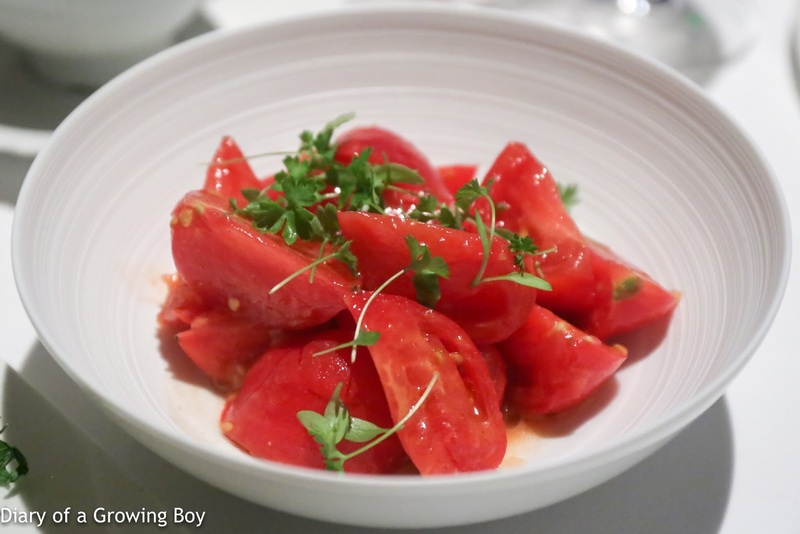 Spring tomatoes, olive oil - OMG. One bite and I was in love with these tomatoes from Fukuoka (福岡). I could dispense with all the other sides - especially the beetroot that I wouldn't touch with the proverbial 10-foot pole - and just gobble up the contents of this bowl. 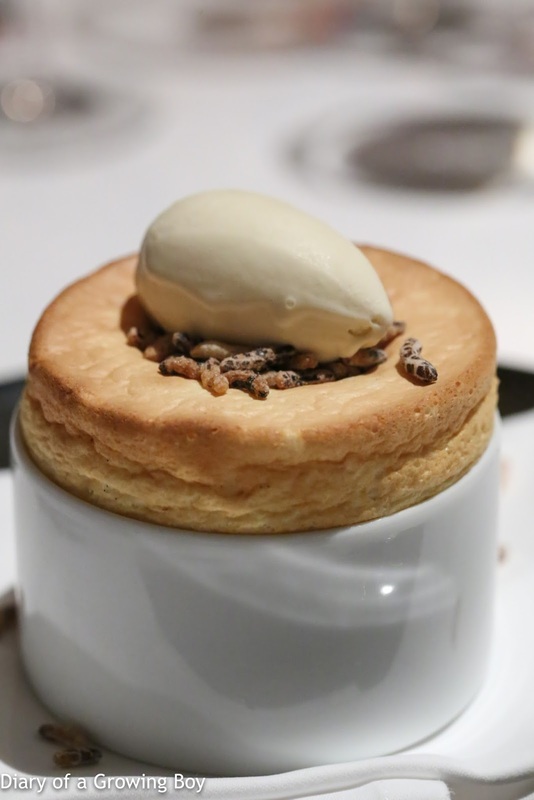 Toasted rice soufflé, Horlicks ice cream - this was very, very nice. The use of Horlicks in the ice cream brings back childhood memories for many of us, and those puffed rice brought plenty of nice, toasty flavors. Candied pistaschio millefeuille - this was pretty good, too... with the candied pistaschios. Caramelized Sicilian lemon tart, frozen yogurt - my favorite dessert had to be this one. 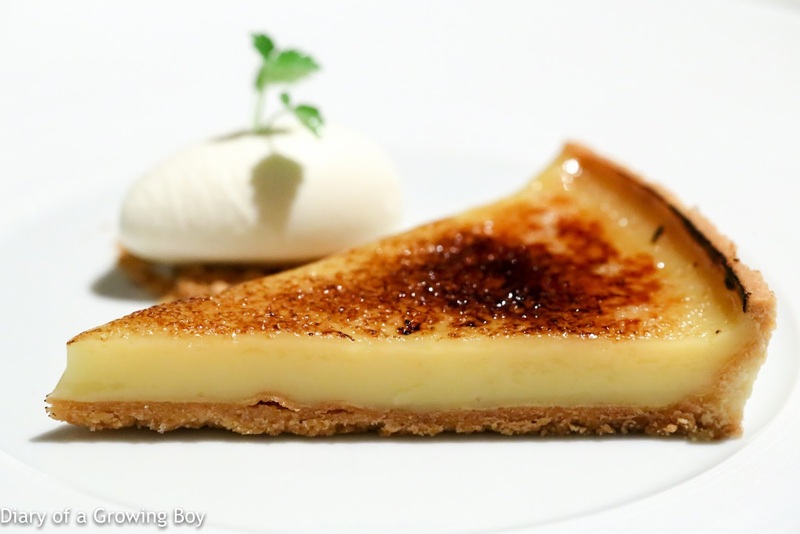 The lemon tart offered simultaneously sweetness and the tartness from Silician lemons. I love lemon tarts, and this definitely counts as one of the better ones in town. 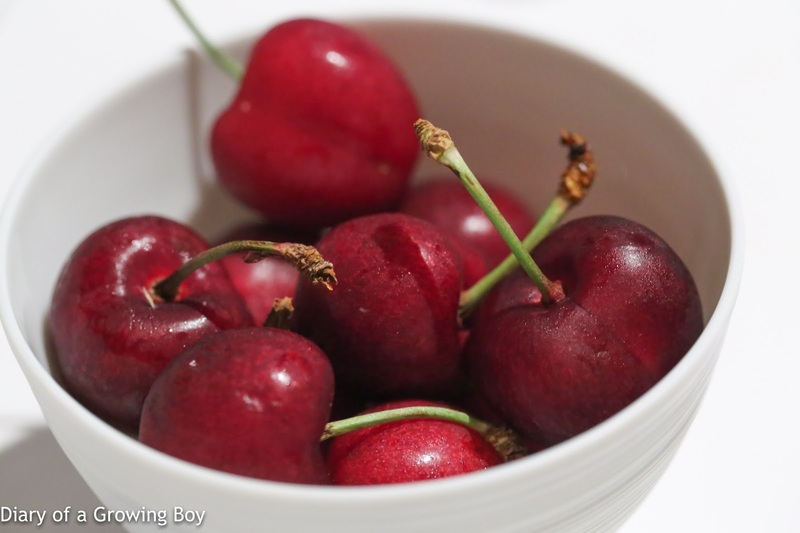 Cherries - we were offered these bowls of these cherries to finish, as well as very thin mint chocolate wafers. 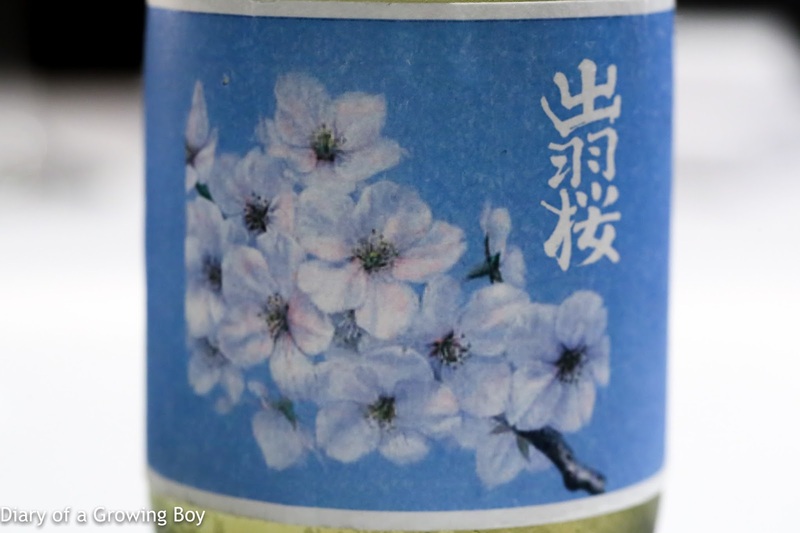 Dewazakura sparkling junmai ginjo (出羽桜 スパークリング 純米吟醸) - seimaibuai (精米歩合) of 50%. Naturally sparkling, aged for 15 years below 0°C. Not many bubbles. Very fruity on the nose, a little sweet, with tropical, stone fruits. A little fermented and oxidized nose, but very fresh. Dry on the palate with a very short finish, almost flat later after sitting in glass. With the second pour, much more depth on the palate and no longer flat. With the last pour the banana notes came out. This was an incredibly kind present from my friend Gaggan Anand, who took two bottles of this commercially unavailable sake from the brewery back to Bangkok. He then saved one of the bottles and offered it to me when I visited him earlier this year. A truly thoughtful and special gift. I hope to be able to taste this sake again at his restaurant. 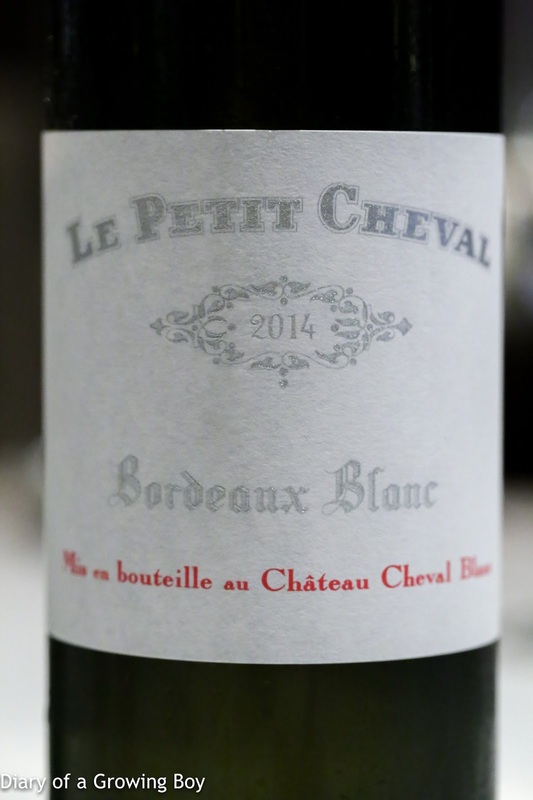 2014 Le Petit Cheval Blanc - very pipi de chat, green apple, and lots of toast in the nose. Really nice acidity here, a little sharp. 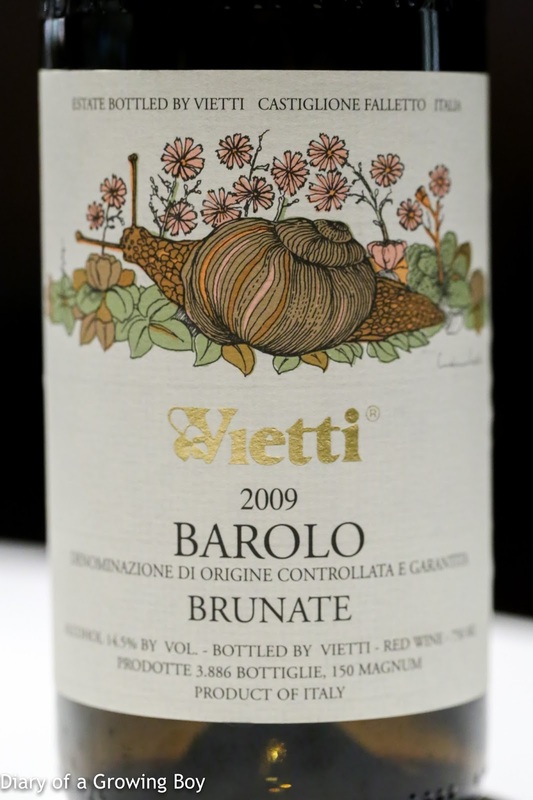 2009 Vietti Barolo Brunate - good acidity here, still a little tannic. 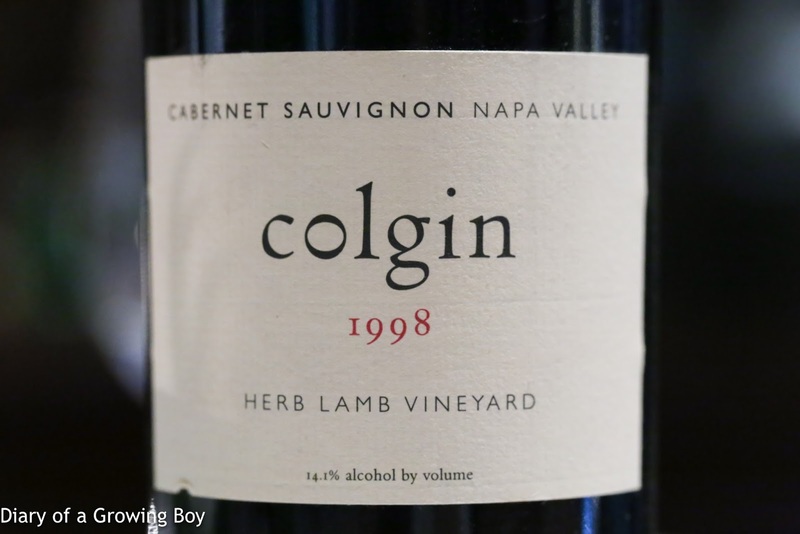 1998 Colgin Cabernet Sauvignon Herb Lamb Vineyard - decanted more than 1½ hours before serving. What a beautiful wine! Much more elegant than I expected, with lots of fruit, a little smoky, and surprisingly no coconut whatsoever. Very smooth with good acidity. More than 2 hours later, showing some coffee in the fragrant nose along with some lovely fruit. 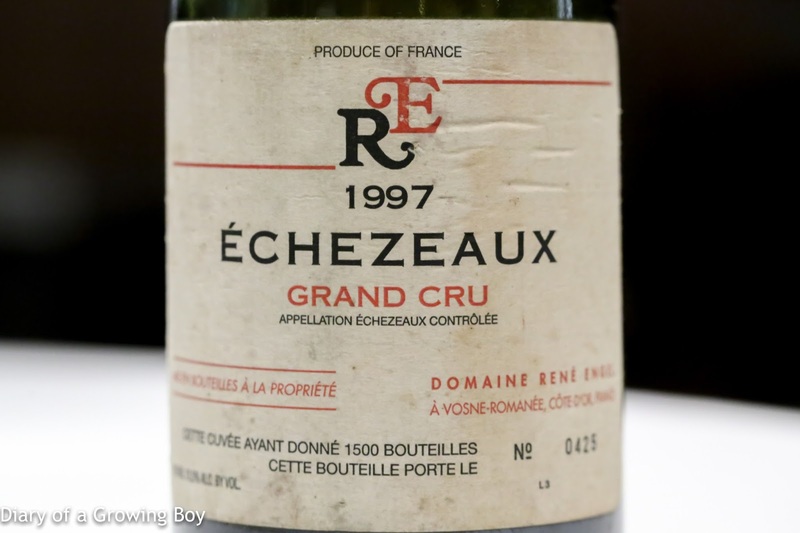 1997 René Engel Échezeaux - toasty corn with some nice fruit, but a little overwhelmed by the dusty nose. We had a lot of fun with the wines tonight, but also very happy with the dishes we had. 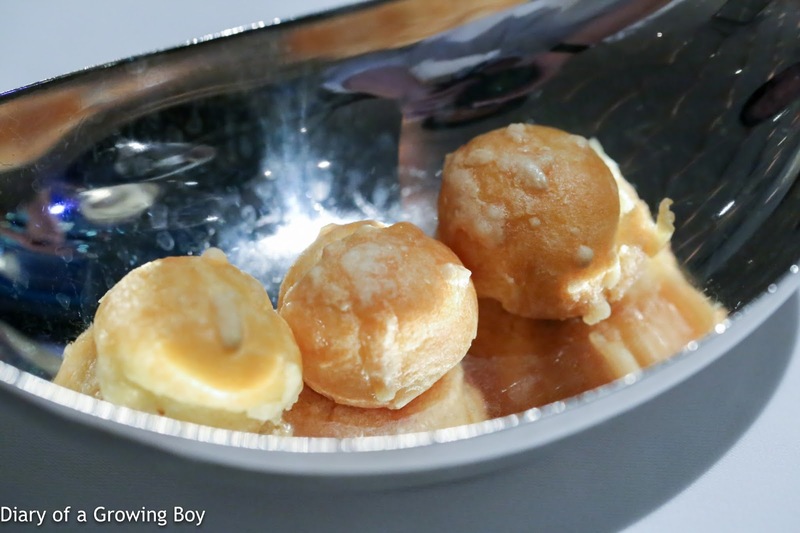 As much as I love restaurants serving creative, playful dishes, I'm also happy when I'm able to find a place that executes classic dishes well. I think quite a few of my friends would be happy to find that the Mandarin Grill has gone back to being a classic grill.